Buying a home? - It's riskier than you think! It's the things you can't see that are most dangerous to the value of your investment and the safety of your family! Buying a home, or investing in property? THE BEST RANGE of pre purchase inspections and reports is here! 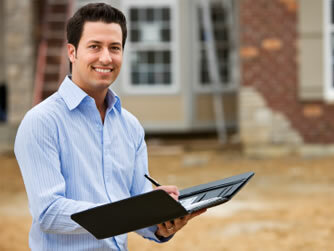 You cannot afford the risk to buy property without expert advice. The Best pre purchase advice is affordable and will cost you less than poor advice! Regularly we find termite infestation, termite damage from past activity and more disturbingly evidence of vendor's attempt of cover up. How will you know? 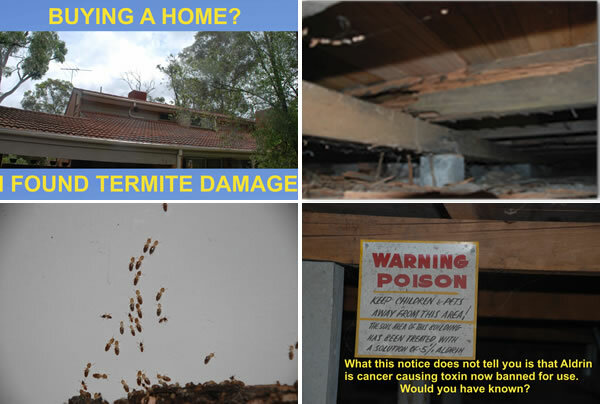 How will you know what to do, the best treatment options (remember chemicals can be dangerous) and the best way to maintain your property to reduce your termite risk. You cannot rely on pest companies to give you the best advice because they have interest in selling you treatment that is profitable for them and not necessarily safest for you! How will you make your home unfriendly to termites? How can you protect your investment without exposing your family to chemicals? There is no substitute for expert advice! TIMBER PEST - PRE PURCHASE INSPECTION REPORT - FOR HOUSE BUYERS EXCEEDING AUSTRALIAN STANDARD - FOR YOUR PEACE OF MIND. The value of your investment and the safety of your family is in your hands!